We love the team from Department of Coffee! They have plans to expand and you can help them do it! 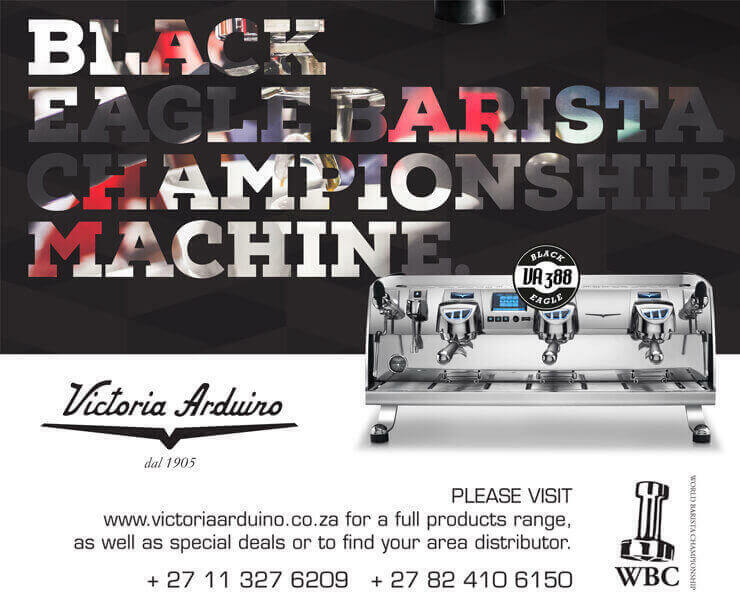 "It is our dream to grow our radius and increase our customer base or in other words: to spread the word that high quality coffee is also available in Khayelitsha and not only in nearby Cape Town. 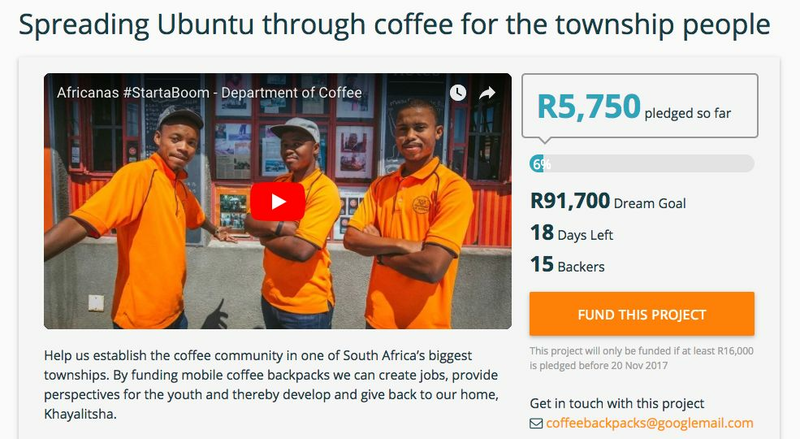 To do so we aspire to serve coffee at cross roads, hospitals and taxi venues by using mobile coffee backpacks. Each backpack can hold 10 litres of coffee and can easily be pumped into a cup allowing us to spread delicious, piping hot coffee to 40 people at a time at locations beyond our store. We aim to give young unemployed youth of Khayelitsha the opportunity to operate their own backpack and earn an income."